Manufacturer of a wide range of products which include refrigeration compressors, copeland scroll compressors, emerson copeland compressors, sealed refrigeration compressors, semi sealed refrigeration compressors and hermatic refrigeration compressors. Renowned as the foremost exporter, trader and supplier of optimum quality of Refrigerator Spare Parts, we proudly indulge in offering an exquisite Refrigeration Compressors. Our vendors manufacture the products in conformance with the industrial standards & norms. 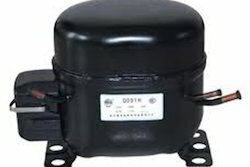 Owing to the salient features, these products are demanded in fabrication of compressors and air conditioners. Further, the Repairing Services that we offer are rendered in adherence with internationally approved parameters. Acclaimed as the market leader, it feels ecstatic to introduce such an astonishing array of Copeland Scroll Compressors under our Refrigerator Spare Parts segment. Highly demanded in market for its superior quality and long service life these products are available at very competitive rates. 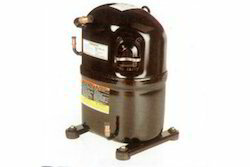 Compressors for residential HVAC units are fairly easy to find a replacement. Copeland offers a variety of replacements for all residential units. 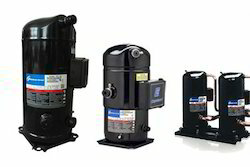 Looking for Refrigeration Compressors ?